If you’re in England from December 16th through February 9th, be sure to attend one of the screenings of Meet Me in St. Louis. The highly anticipated Blu-ray will be released next week, but as we all know, there’s nothing like watching a great MGM Musical on the big screen! Be sure to check out the other MGM Musicals that are a part of the BFI’s season of MGM Musicals. What’s great about this season is that it’s nationwide, and not solely in one city, giving many people a chance to enjoy these classics on the big screen who might not have previously had the chance. Stay tuned to this blog for a special contest announcement in the next several days…! 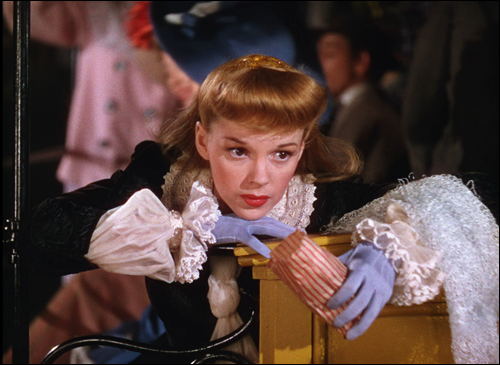 Returning once more to the big screen, Judy Garland dazzles in Vincente Minnelli’s classic musical, Meet Me in St Louis. Charting the ups and downs of the well-to-do Smith family as their beautiful city is on the verge of hosting the spectacular 1904 World’s Fair; the film embodies the very essence of nostalgia and remains a firm favourite for families everywhere. 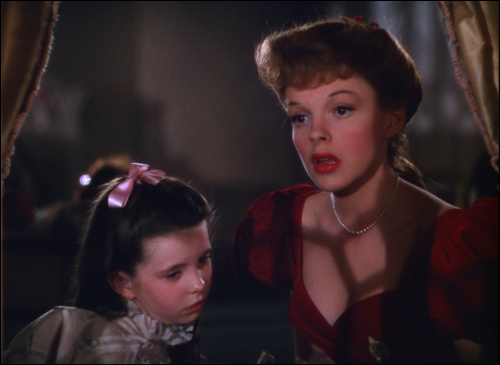 Made during WWII, Meet Me in St Louis is a delightful musical film – and one of the greatest musicals ever made. Enjoy its spectacular magic at BFI Southbank and in selected cinemas nationwide from 16 December.